In October of 2012 I took a class from Julie Weisenberger, aka Cocoknits, on English Tailoring. 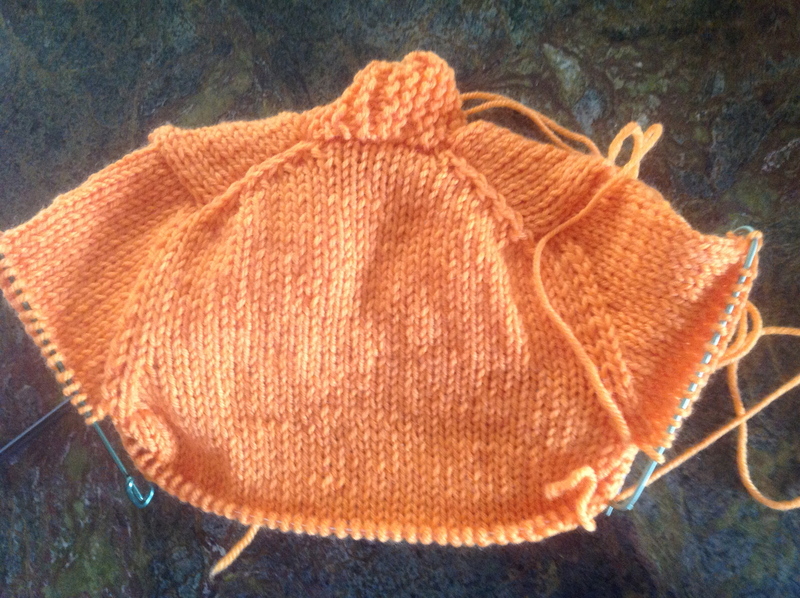 We worked on a baby sweater, starting at the mid point and doing the shoulder shaping. 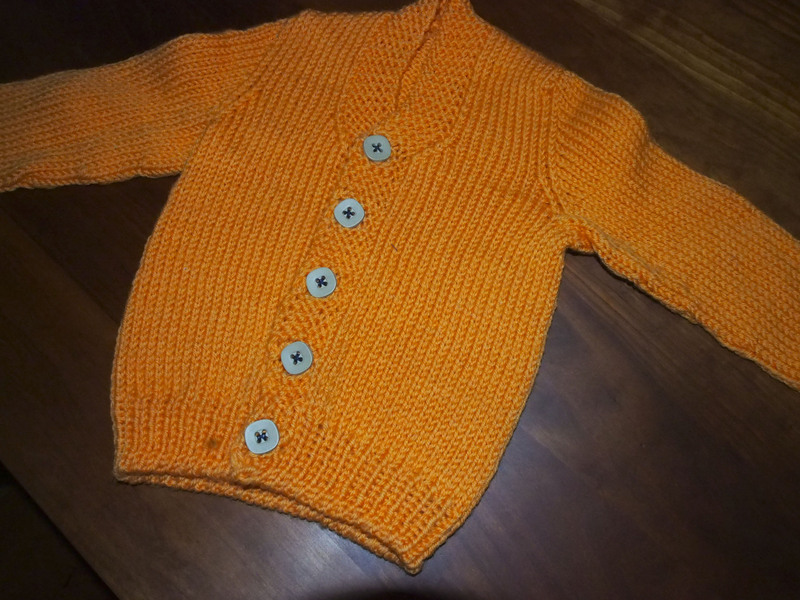 I loved this class, and the cute little sweater that we knit up. 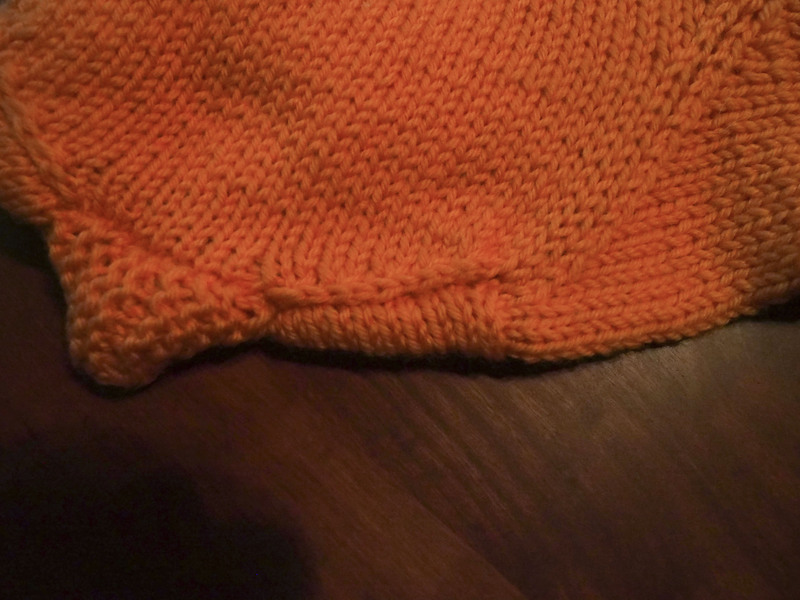 And then it sat, for over 2 years until I finished it earlier this winter. I thought that it was the perfect gift for my friend’s new grandson. Even though this took me so long to finish, I would definitely make it again. Love this whole process. Take a class from Julie whenever you have the opportunity. I have taken 2, and would gladly take another. Those are the best kind of sweaters, ones you have to grown into. That way the recipient gets to enjoy your work of art longer. Nice job! I really love your blog! Been wanting to get into knittting for a long time, I currently crochet and made a blanket for my cousins daughter when she was born and would love to be able to make more things. Dreams of opening my own craft business are slipping further away so I need to learn so much more stuff! Thank you so much for the lovely comment. 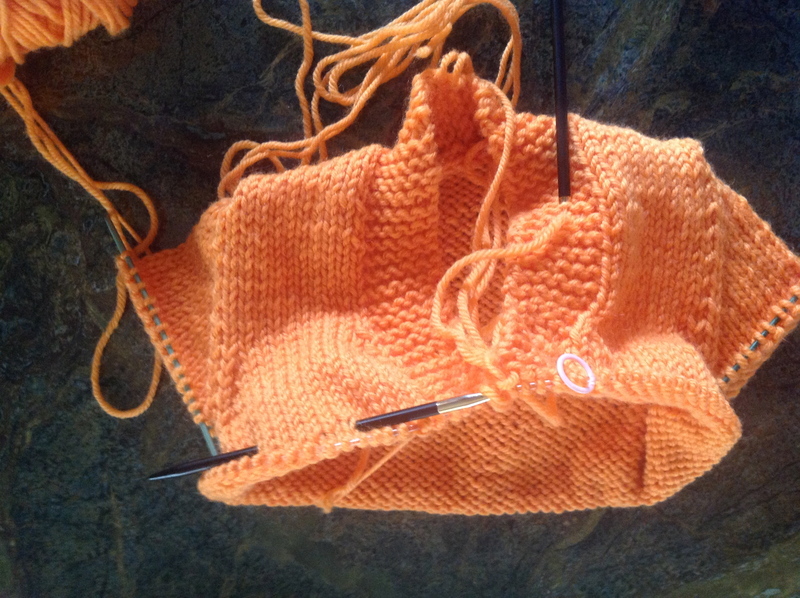 I have been knitting for a very very long time, and am constantly taking classes to perfect my skill. doesn’t help that I have added spinning, and recently weaving into the mix! Such a wonderful hobby to have. Best of luck on opening your own business, just takes being a really good people person and loving what you do. I’m really looking into joining some classes, for sure! You’re super busy then! Definitely gives me that boost to get stuff done even with working so much recently, thankyou!